De Montfort University, Leicester, 2001. 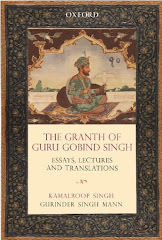 One of the first western dissertation written by a western scholar on Sri Dasam Granth Sahib. “In the 18th and 19th centuries the Dasam Granth was seen on equal par with the Adi Granth”. “The actual placing of the Dasam Granth in Gurudwaras demonstrated that the whole text was seen as scripture”. 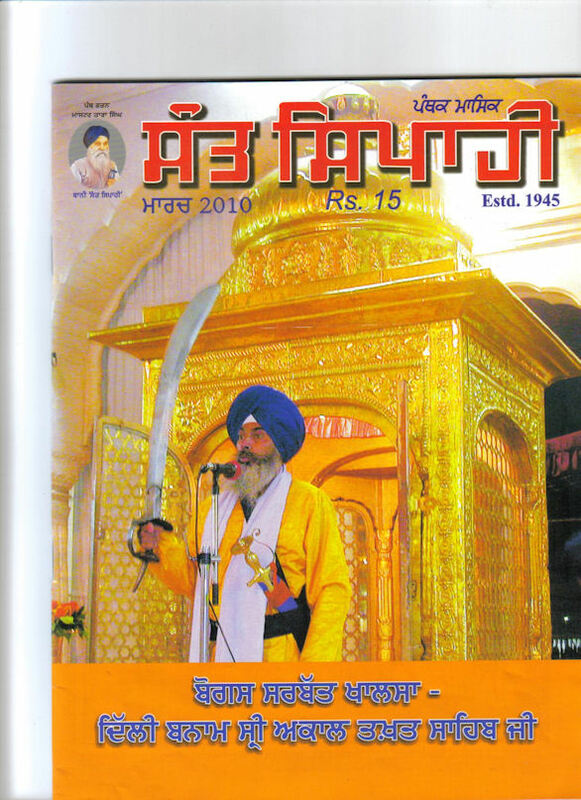 “The Dasam Granth explicitly gives reasons for the use of the sword by equating it to Akal Purakh”. “The reciting of the Hindu myths was explicitly re-interpreted to infuse a new vigour into mindset of the people. “In terms of acceptance and veneration, a clear directive has not been given from the Akal Takht regarding the text”. The Dasam Granth is a testament to the talents and energy of Guru Gobind Singh. The Guru was a notable warrior who engaged in various battles and was also an articulate writer of poetry in various languages. “sole adherents of the Sikh faith, which has not succumbed to outside forces, and are the true followers not from the days of Guru Gobind Singh but from Guru Hargobind”. 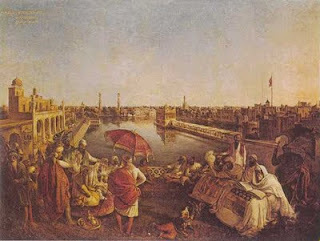 “ The Nihangs are very important to our discussion of the Dasam Granth. Their relevance is important as they consider Gurbani to be split into two parts. They consider the Adi Granth to be representative of shannt ras or “saintliness” and the Dasam Granth to represent bir ras or “warrior spirit”. They claim that both aspects of Gurbani are needed in order for Khalsa to be complete. The ignorance of the Dasam Granth has meant that Sikhs are missing an important aspect of their lives". “The reasons the Nihangs venerate the Dasam Granth as a whole text stems from their role as armed guardians of the Sikh faith. Various forms of rulers and institutions have changed but the Nihangs as the warrior element of the sikhs have remained static in terms of their ideas and beliefs". "The Nihangs also believe another text to include the writings of Guru Gobind Singh; the text is called the Sarabloh Granth. There has been very little written about this text and the so this set of works needs to be critically assessed". 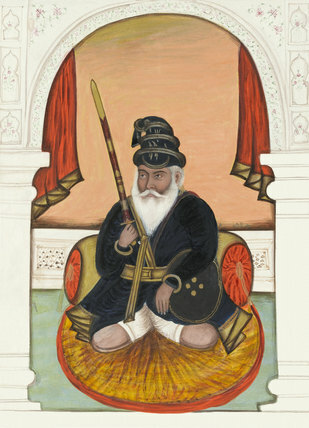 “the Singh Sabha movement viewed the Dasam Granth with scepticism, namely the mythological parts, which they thought were inconsistent with Sikh ideology. This led to the neglect of the Dasam Granth and hence its prominence was diminished”. 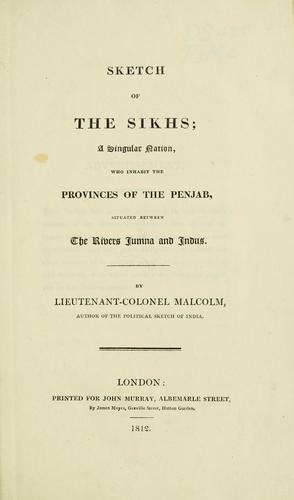 “This movement had formerly verified the Dasam Granth as a genuine text by Guru Gobind Singh; however, the text was still viewed with suspicion”. "the Singh Sabha movement distanced itself from anything, which represented Hinduism. As a result of the mythological stories in the Dasam Granth it was viewed as not being written by Guru Gobind Singh. Hence the text began to be ignored". 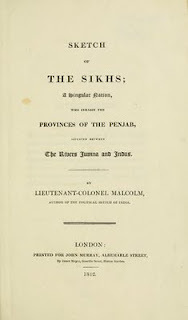 4) The British and the Sikhs. So it seems that the Khalsa held meetings in the presence of both the Adi Granth and the Dasam Granth. Sketch of the Sikhs by Lt Col Malcolm. In 2006 I revamped the thesis to form a book that was to be published based on new research. I never released this but many parts of this have been incorporated in my other books to be published shortly.